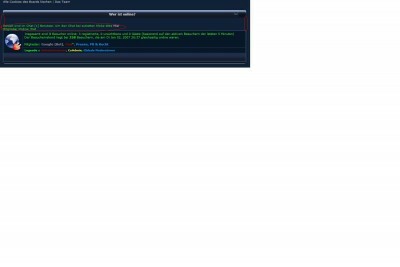 I installed the chat "ajax_chat-0.8.3_phpBB3 blueimp.net" . One has the opportunity to display in the index, who is in the chat. But the ad is not quite so beautiful. For one, the table is broken and it does not look all that great. But in the index_body.html are probably the decisive changes that lead to my problem (look Atachment). Can someone help me maybe as I can all make a little better? Exactly. This is the original file. again i ask please post the *!modified! * file of indexbody, if you post the original or only the edit instructions i can not check anything can i?